Judith Bailey was born in Cornwall in 1941. She studied conducting with Maurice Miles, composition with Andrew Byrne, clarinet with Stephen Waters and piano with Leslie England at the Royal Academy of Music in London. Following a short career as a peripatetic woodwind teacher, since 1971 she has worked as a freelance composer, conductor and clarinettist. Her compositions include two symphonies, two string quartets, a clarinet concerto and many other orchestral, chamber and instrumental pieces. Judith was conductor of the Southampton Concert Orchestra and Petersfield Orchestras for around 30 years. She has been the conductor of Cornwall Chamber Orchestra since September 2002, and of the Penzance Orchestral Society since April 2003. 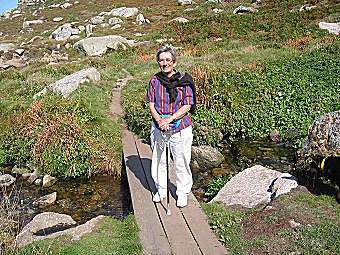 In 2005, Judith was made a bard of the Cornish Gorseth for services to music in Cornwall.